At Brooklyn Stitchery we love creativity, but to be creative with sewing you need to learn the foundations. 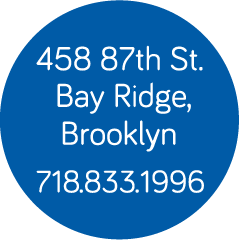 All Brooklyn Stitchery sewing classes are based on teaching a strong foundation. This way you develop the skills you need so your creativity can soar! Our sewing classes give you an understanding of garment construction so you can eventually create from scratch. Catherine studied pattern making at F.I.T. and worked as an industry professional in this area. Her experience and knowledge give you a bigger picture understanding. You can work from Catherine’s original patterns or learn how to work from and alter commercial patterns for a perfect fit. A unique process, industry experience and a passion to sew and create inform Catherine’s teaching on every level. She understands both the beginner and high-level student and can explain and demonstrate a wide range of sewing technique. You can learn all aspects of garment creation: developing necessary skills to sew, creating from an original idea, making a pattern (through special classes), and of course, sewing a completed wearable garment.